in the office building in the center. 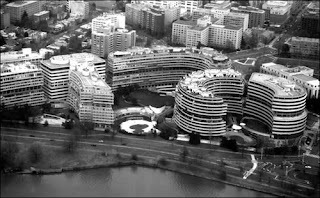 Forty years later, the word Watergate is synonymous with political crime and corruption. In fact, it has become so ingrained in our collective conscience that just adding “-gate” to the end of a word instantly signifies a scandal.